There are many steps that go into building a site from start to finish. Every website designer has there different methods and we may not work the same, so we thought that it would be helpful to outline our website design process. Keep in mind that not all of these things are included in the Business Basic package. Info Gathering – We ask that clients start by answering the detailed website design questionnaire which will provide us with the information that we need to get started. We respond via email within 48 hours of receiving the submission to discuss the project, ask questions, and come up with a design plan. We prefer to brainstorm via email so that we have all correspondence on file to use as reference when working on the project. Branding – If clients do not have a logo design or branding in place, we normally suggest starting there so that we can build the site (color scheme, graphics, structure, etc) around that. We are not branding experts so we do not provide branding counseling or instruction. If you are in need of assistance in this area we suggest contacting a business coach or branding specialist who can work with you. We do have a very detailed logo design questionnaire which might help you in coming up some ideas as you fill it out. Domain Registration – Your domain or website name (www.yourcompany.com) needs to be registered. We suggest either Godaddy.com, NameCheap.com, or NetworkSolutions.com. You would start by doing a search on either of those sites to see if your desired domain name is available for purchase. Website Hosting – Hosting must be WordPress compliant, running the correct version of Linux and PHP. We recommend setting up a Hostgator account. Their “Hatchling Plan” will work great for a single site. It is very affordable and they are top notch when it comes to WordPress hosting and customer service. Follow our affiliate link to sign up for your hosting account. At this point, you have a fully functioning WordPress site installed on your web host, ready for design! WordPress website design is incorporated with WordPress functionality to become a fully functional website. All of the design work is customized to match your brand and functionality requirements. The completed site can act as an anchor for all of your marketing initiatives. 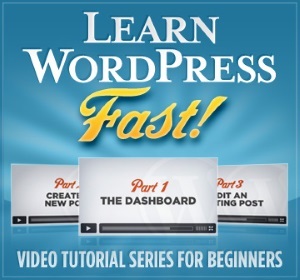 The most powerful component of your WordPress site will be the blog. A well designed blog will bring visitors to your site from search engines and social media, as well as give them a reason to come back for more.